I might be the odd man out, but I believe my whole generation was done a disservice by the idea that we were told as young children that we could be whatever we wanted. We simply had to go out and dream it, and then we could do it. Even now that I have kids, I still am not sure this is the best advice I was given (and I know of many of my peers that have struggled with the realization they really couldn't be whatever they dreamed up...). Don't hear me wrong, I want my kids to have dreams and wishes. I want them to set goals that are lofty. However, I feel that my job as mom is too help them find the steps to take in order to make those dreams and goals a reality, because those steps are often hard and take a good amount of time and sweat. So when I started reading this next book I had mixed feelings about it. 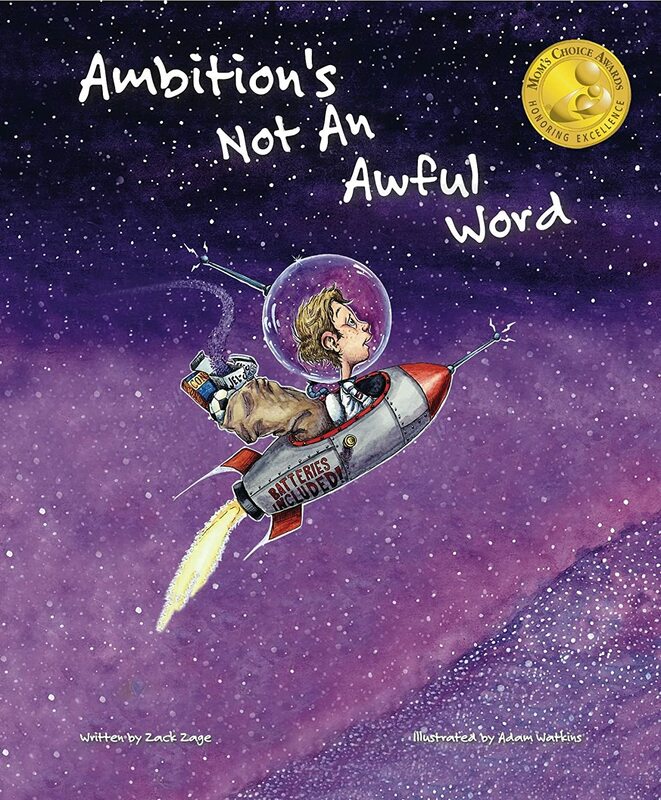 Zack Zage's story Ambition's Not an Awful Word follows the thoughts of Zack as he shares his dreams of what he will become as an adult. They list stretches from Lawyer to Dancer to other professions. The pictures are silly and the rhyming flow adds to the story. There are some amazing vocabulary words in this one, which puts is firmly into the slightly older kid book - maybe 7-10? The hard part of this book is that even though Zack's teacher is the one who poses the question that leads to Zake's list, she doesn't seem to support any of his dreams, not one! I simply disagree with the idea of a teacher dashing a child's hopes and dreams like that. She could have easily said it would be a lot of hard work to become so many amazing things as an adult...and then pointed to some of the steps Zack would have to take to journey towards those goals. But instead she just stomped on them. The end however is perfect. Zack is getting ready for bed, when he tells his mom about his teacher's over-realistic view point and how it crushed his spirit and zeal to dream. And his mother tells him it perfectly fine to dream big dreams. I think this is perfect book to open the conversation with your kid, or continue it. To see what he dreams of being when he grows up, and discuss things to start doing to attain that dream. What do your kids dream of becoming? 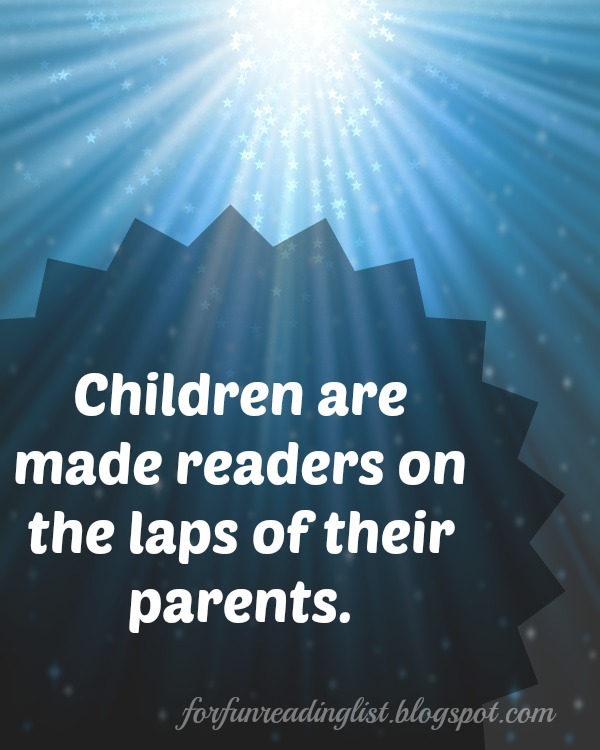 How do you help them learn to set up steps to work towards goals, even the out of this world ones? Join the conversation. Thinking of adding this book to your library? Consider using my affiliate link below and supporting Reading List in the process. Thank you!